While employer branding may seem like a burden or excessive time commitment, it has the potential to significantly strengthen your business both internally and externally. The effects of branding reach throughout the company, touching everything from recruitment to current employee performance. Whether you go the route of catchy videos, social media promotion, or simply describing your ideals and culture in your job description, branding your business greatly influences your success in the current hiring market. If left unmanaged, a company’s reputation may suffer significant consequences. Negative branding has severe repercussions, particularly when the business is associated with lack of job security, poor teamwork, and deficient leadership. By contrast, those labeled as places of stability, growth, and excellent teamwork have a large advantage for attaining top-tier candidates. So while the time commitment and strategic planning that goes into branding your company may seem like a daunting and unnecessary task, these four reasons show the importance and value of doing so. It’s cost effective. Harvard Business Review and ICM Unlimited recently published a study that found that companies with negative reputations paid at least 10% more per hire, and only 28% of candidates could be persuaded to join the company despite the increased pay. On the other hand, cultivating a positive reputation provides an additional benefit to get the best candidates to bring their talents to your business. High-performing candidates bring great profit! It helps you attract the hires you want. Especially in today’s world of social media and instant access to search engines that can answer almost any question, applicants are wary of a business they know nothing about. They are disconcerted to have little-to-no knowledge of what they might experience as your employee. An organization’s brand has an extensive impact on its ability to recruit the best applicants. One LinkedIn survey found that 56% of job seekers hold reputation as the largest influence when debating whether they want to work for a particular employer. Considering that this number excludes anyone that considers it the second, or even third, greatest factor in their decision, it is clear that employer branding has massive potential for pulling in prime talent. If you make your values and testimonials from excited, happy employees readily accessible, as through social media, candidates will not only feel more confident about their choice to apply for a position at your company, but will also filter themselves so that your pool of potential new hires is filled with applicants who would be a good fit. Employer branding is not just about recruiting and hiring, either. It also affects current employee performance. Because a large part of company branding comes from the current workers, it represents an opportunity to express pride and be engaged in the business. This in turn raises quality of work, productivity, and customer satisfaction. Finally, it is also important to recognize that a number of your competitors are developing branding plans. With 51% of companies currently working on their brands and an additional 43% creating or revising theirs, winning top talent may soon rely on having a strong, effective brand. So why not get a head start and put yours out there now? Take the opportunity to show why your company’s culture is unique and supportive of the type of candidate you want to hire! Did you know? When you post a job with iHire, you can boost your brand by including your company logo, video, and/or description! To learn more, visit our Job Ad page or contact one of our Account Managers at 877-433-8860. 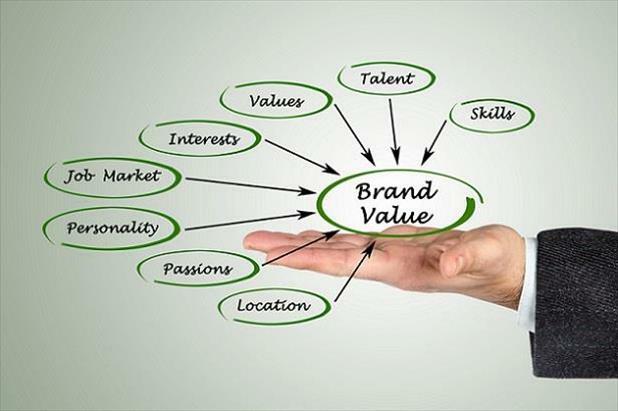 Will Staney— Does Your Company's Branding Really Matter in Recruiting?